Limiting your carbs is the key to any low-carb diet – obviously. But it is surprisingly easy to get this wrong. Many beginners calculate their carbs inaccurately or incorrectly. So their diet becomes really difficult, or doesn’t work at all. Our brains are hardwired to underestimate the amount of food we eat, as proven by multiple scientific studies. It’s the same story with carbs. 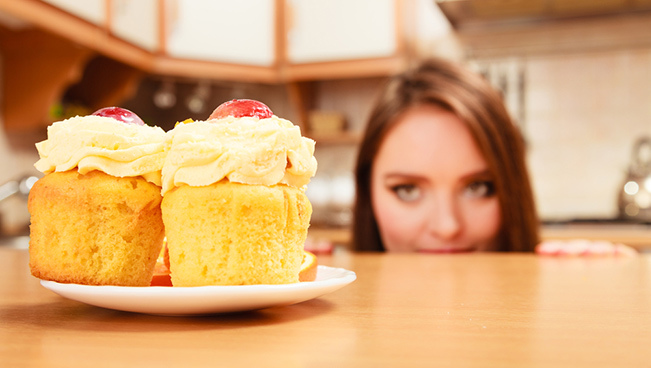 You might not even notice how you gradually slip into eating a lot more than you think. Find out for sure. Check product labels or look up the info online. Your brain will trick you into underestimating it. Use an app like FatSecret or CarbManager. A simple food diary using just pen and paper works too. Be brutally honest and write down everything. Sometimes they lurk in the most unexpected places. Not all of them are as good as they claim to be. USA is different to the rest of the world. This is important if you use online recipes or apps. Getting enough vitamins and fibre is essential for health. But some of us struggle to get there even on standard diets. It gets even harder when you cut out high-carb foods like fruit and grains. But let’s not panic – there are many nutrient-rich low-carb foods to bridge any potential gaps. Fresh whole foods like green leafy vegetables, low-carb salad vegetables, grass-fed red meat, fresh fish and cold-pressed oils contain everything you need. Make these foods the foundation of your low-carb diet and your nutrition will be fully balanced. 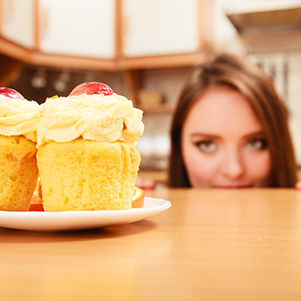 Don’t waste your carbs allowance on sweeteners, dodgy sugar-free bars and other processed foods. Not only you will miss out on vitamins, you may also experience unpleasant side effects. You might even accidentally push yourself out of ketosis. Some foods are high in carbs by definition – bread, pasta, desserts, snacks, side dishes like rice and noodles, breakfasts… Are you finding it hard to let go of these staples? Use zero-carb sweeteners instead. Our favourite options are erythritol, Stevia (popular brands are Truvia, Sukrin and Swerve). Make your own low-carb desserts or buy sweet low-carb treats. Supplements market is saturated with thousands of products that promise magic results. Can they really help? Or is it just a waste of money? Some supplements have a long track record and scientifically-proven benefits. Most low-carb diet authors and experts recommend supplementation, especially in the beginning of your diet. The right combination of supplements can help you solve common low-carb diet problems and protect your health over the long term. Try this quick low-carb diet supplements checklist to find out which products are right for you. The best diet in the world won’t save you if you don’t have the right mindset. Weight loss, like any other major transformation, requires mental strength and focus. Here are a few common obstacles you will need to push through. Low-carb diets are great because you don’t feel that hungry. But there is still some degree of discomfort involved – coping with sugar cravings, being disciplined about your food choices, learning new recipes and cooking methods. Don’t try to avoid discomfort. Embrace it and grow stronger. Weight loss is a long-term game. It may take weeks or even months before you notice a substantial difference in your body composition. It’s a marathon, not a sprint. Some of our ingrained habits stall weight loss, for example, eating at set times even if not hungry. Review your habits and eliminate those that don’t help your weight loss. If something goes wrong – for example, if you fall out of ketosis – don’t beat yourself up about it. Instead, analyse what went wrong and think of ways to prevent it in the future. Above all, have faith in yourself and your ability to change. Millions of people have successfully lost weight, transformed their bodies and improved their lives. You can do it too. I wish you the best of luck with your weight loss! If you have any questions, please shout out in the comments.